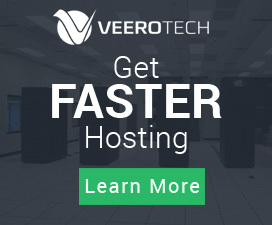 I'm looking for some recommendations for a quality VPS provider. I have a budget between $40-50/month. I've been checking out the offers forum but haven't seen anything yet that matches. Might just be missing the right one. Do you know anything about dcxv and their vps hosting services? Any discounts? What are your requirements with this budget? any hosting specifications? Just contacting them and you can have discounts and customize your VPS. 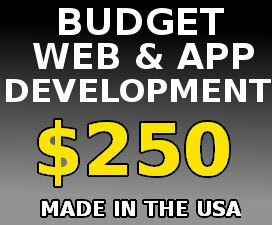 What else can you tell us regarding your requirements, other than the budget? Providing some more detailed specifications will allow us to provide further insight. regarding reliability i think big provider like ovh.com, ramnode.com is known to have very fast servers. I'm using intovps.net , awesome service , 24/7 customer support ( really , their answering and fixing any issues within minutes) even if they don't advertise them on their site as 24/7. Last edited by vps9; 04-06-2017 at 10:37 AM. Kindly mention your needs. Now a days you can get affordable VPS plans. SSD VPS hosting would e Best choice for you. You will get 20x faster performance. I've used KnownHost in the past. They are pretty good. Vultr is good too. But it's un-managed. Since about two years I got some of my stuff running on a cloudways VPS. You can pay as you go. Performance and uptime is outstanding and they only charge me $7/month for their smallest package which is perfect for what I need it for. Last edited by DanielBlue; 11-16-2017 at 06:32 PM. More information such as specification or requirement would help, with the budget you also get a dedicated servers. For outstanding support on a managed VPS, I would recommend Inclusivehost - I've had a personal VPS with them for years and they have always been extremely quick to resolve issues. You may try InmotionHosting. Their VPS-1000HA-S will meet your requirements I guess. I'm using it right now. It's performance is awesome. Support staffs are very very friendly & experienced. In my opinion, Vultr, Linode, and DigitalOcean are good choices. How do you guys find Broken Links? What is a PVA account? New look for my website, any thoughts on what to improve? 22 Free High Quality Ebooks @ Free 5 Hour Affiliate Marketing Training Course ( Noone Gives Away This Kind Of Quality Free ) Details Inside! What do YOU look for in a Hosting Provider? Which ecommerce provider I can go for? which ecommerce provider i can go for ?